An armored car driver shot a suspect who had opened fire in what authorities called a "brazen" robbery attempt Thursday. Authorities say that two armed men approached a Dunbar armored car and opened fire outside a CapitalOne bank in Chantilly, Virginia, around 1:30 p.m. There was an exchange of gunfire between the suspects and one of the Dunbar drivers, said the Loudoun County Sheriff's Office. "The entire time I've been sheriff, I've never seen anything this brazen," said Loudoun County Sheriff Mike Chapman. It's not clear yet whether the suspects stole anything from the armored car. It happened in the parking lot of the shopping center located at 25400 Eastern Markeplace Plaza. The Dunbar truck drove across the parking lot to get away from the gunfire, and the suspects jumped into a red Taurus and fled. An alert shopper inside the nearby Harris Teeter was watching and got key lookout information. 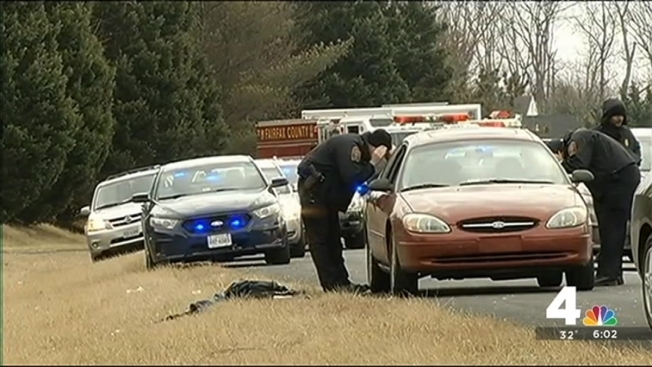 A few minutes after the robbery, Fairfax County Police spotted the getaway vehicle on the Fairfax County Parkway about seven miles away. Police pulled over the car and found that the passenger inside was suffering from as many as four gunshot wounds. Tthe injured suspect was airlifted to Inova Fairfax Hospital in critical condition. Police identified the driver of the vehicle as Jarrod Williams. Williams was taken into custody and is facing felony attempted robbery and use of a firearm charges. He is behind bars without bond. A Dunbar employee who came to help pick up the armored truck was relieved to know his colleagues were unhurt.